We are pleased to invite you to the 26th Annual Circle of Friends Gala to be held Thursday, May 9 at 5:30 PM at the Royal Sonesta Hotal in Cambridge, MA! Join almost 400 guests, volunteers and donors at this year’s event, which will include a cocktail reception, silent and live auctions, and dinner accompanied by a presentation of CFCS' important work in the community. This year we are excited to honor three outstanding award recipients. We will be presenting the 2019 Avon Children’s Friend Award to longtime supporter Gilda Nogueira, President and Chief Executive Officer of East Cambridge Savings Bank. We're also introducing the James Huntington Award, which will be presented to John DiGiovanni, president of Trinity Property Management and longtime president of the Harvard Square Business Association Board of Directors. 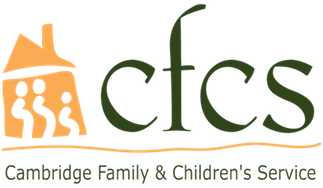 Finally, we will present the Ted Rose Award to the members of the Cambridge Savings Bank Street Team in recognition of their volunteer efforts on behalf of CFCS and other local non-profits. We will also be introducing mobile bidding to this year’s event. Using Greater Giving, we have set up an event website where you can easily buy tickets and sponsorships. When you register for our event online, you will automatically be able to participate in our silent and live auctions when you arrive at the event. Not only that, but checking in and out will be a breeze! If you have questions or would like to find out more about the event, contact us at event@helpfamilies.org or 857-453-4282. See you May 9!